The fronts are ventilated, rears are solid. Looks good man! Not a fan of the flip lighter though, gets annoying! 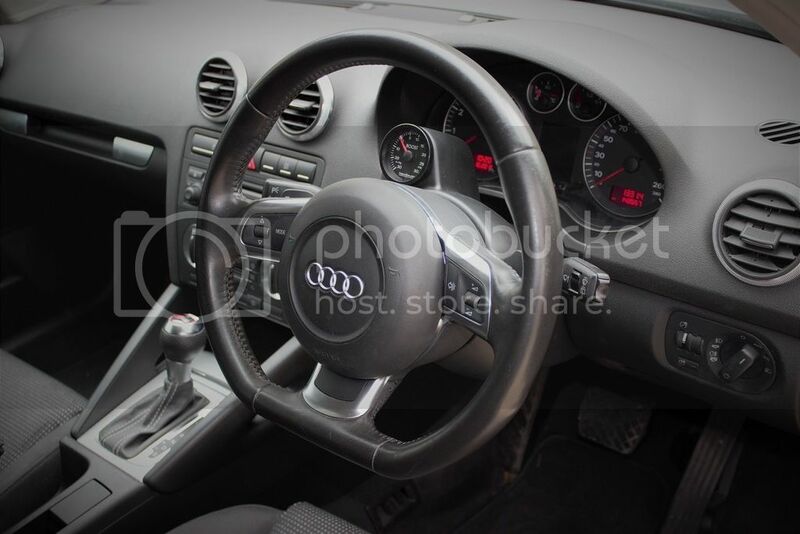 Someone on asn did actually do a push button like the RS4 there, but pointless as you still do need the key! Novelty but i suppose. Awesome job on your A3 mate! Love your work. Where did you get the S3 grille and bodykit? It is an Oettinger Grille. From the USA in a closing down sale. You can get them direct from Oettinger in Germany (for a hefty price). 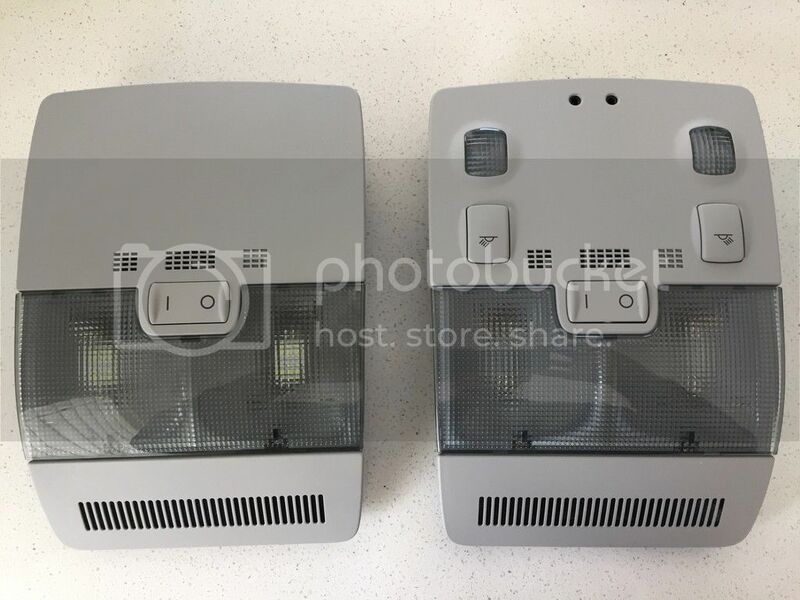 new from a guy in Australia who had it surplus to requirement. 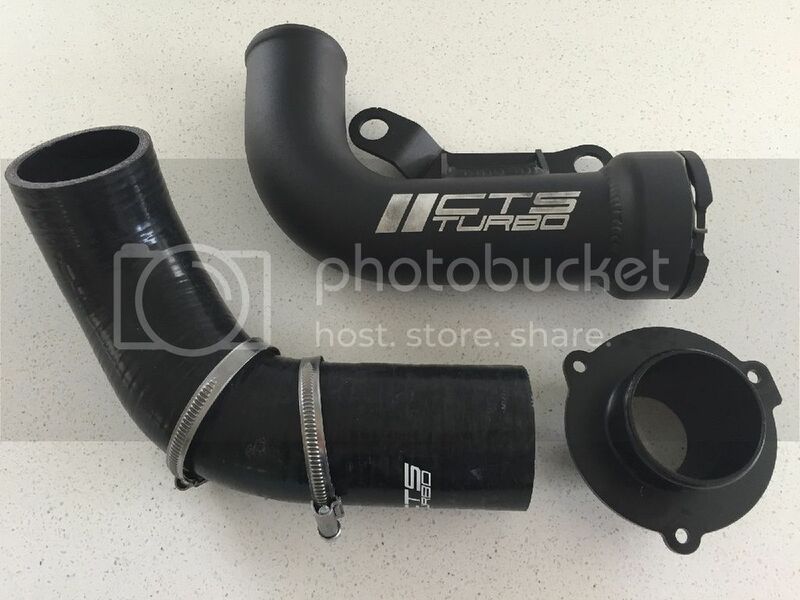 The whole kit is around 5k landed from Oettinger if you cant find elsewhere on clearance or used. I'm not sure if it was you but i saw a car a lot like this on constellation drive a few days back. 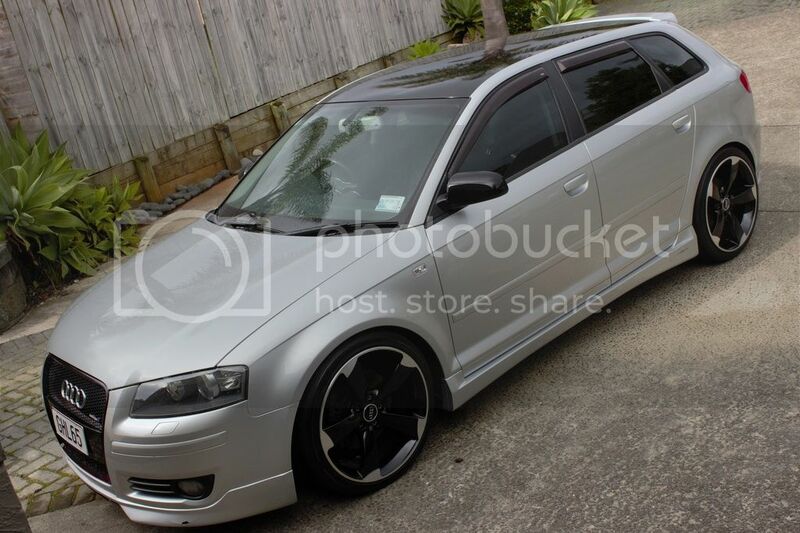 looked pretty mint, i wanted to get the RS3 kit for my car & the rotor alloys, they look alot better than i thought, was worried about them being a bit on the large side. Hey. Yes I am around there a bit. RS3 Kit can be a bit of a challenge as it needs new front guards and side mirrors etc (8P2 or RS3 guards dont have indicators on them). 19s look great but need to have the car fairly low. You should come to a meet some time. Price it up and make the call if its worthwhile or not for you. The full genuine RS3 kit is around 7k with guards. Possibly more with the mirrors. 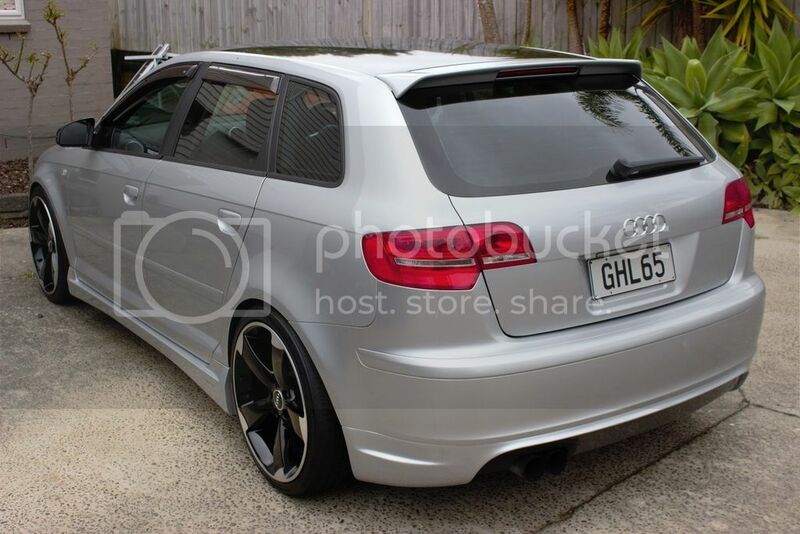 Sideskirts are the same as 8P2 S3 (Sportback). You need the skirts and the door moulding/kickplate things (cant recall what they are called exactly). If you mix and match parts too much they wont line up with the rest of the car. 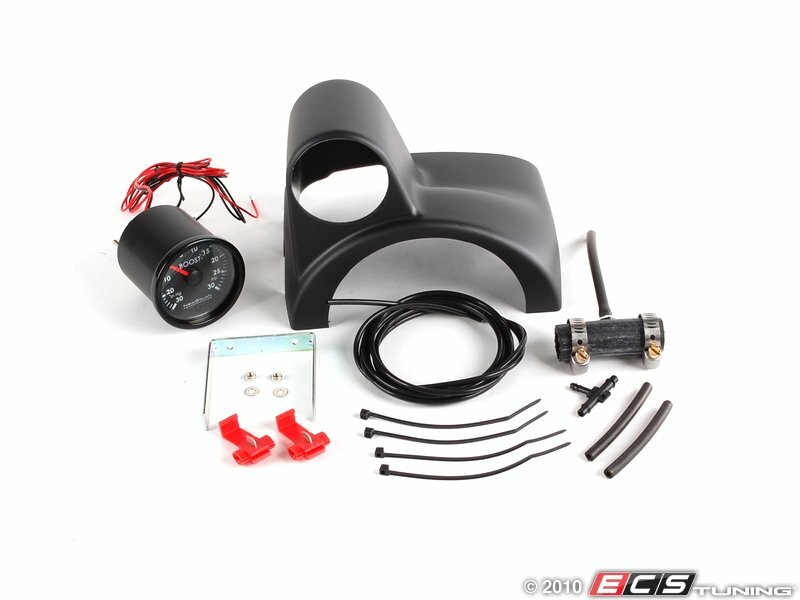 Have a look at the S-Line kit if you dont have an S-Line already. Much more affordable and looks very nice. Some guys overseas use the S-Line front and rear bumpers, rear spoiler and put on Votex sideskirts. Have been a bit slack on updates. Decided to keep it for a bit longer as it has been a really good car and hasn't missed a beat. Considered getting another car but we upgraded our other car instead. Time for a little refresh on this one. Wheels refurbished in gloss black with remachined outers, new centre caps and new Nitto NT830 tyres all round. and not having that excessive stretch i had with Neuton NT5000 225s has made it ride a lot better. Have minor rubbing in the rear so need to sort that out at some point. Roof and wing mirrors wrapped in gloss black. 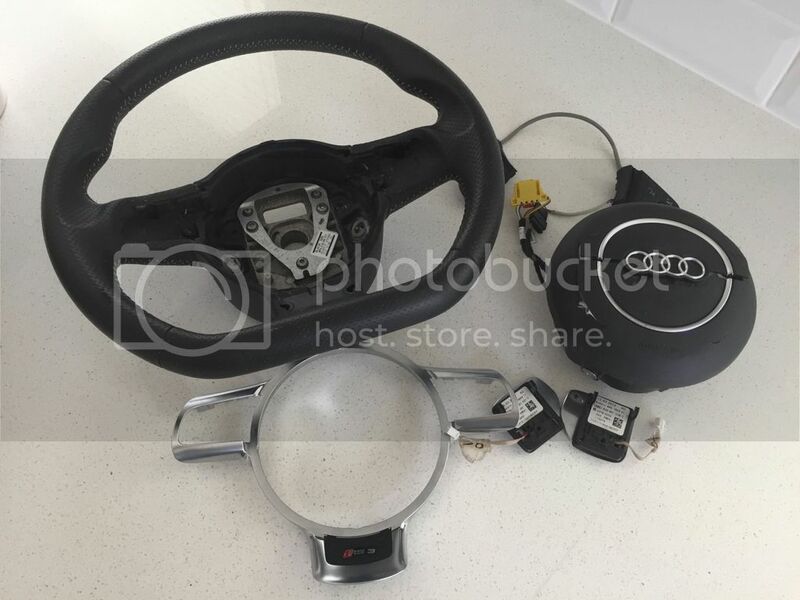 Found a TT Steering wheel and airbag on Ebay from a wrecker in Sydney last year. 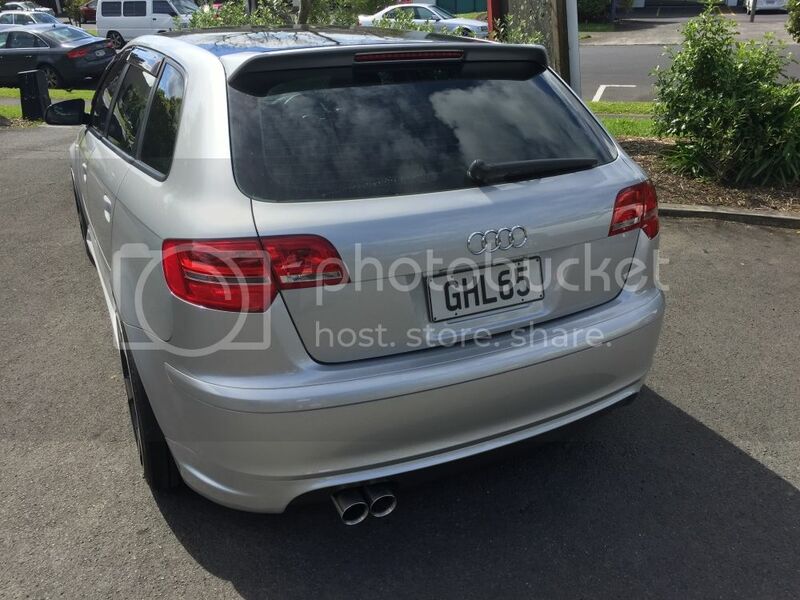 $350inc delivery which was a steal. 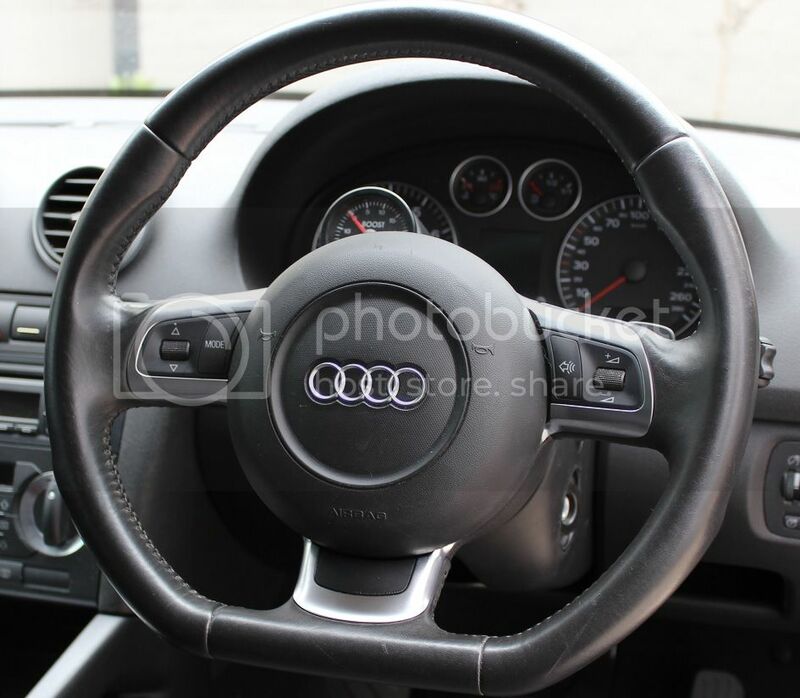 Its uncanny how much a good steering wheel transforms the way the car drives. I didnt have Multi function on my old wheel but I do have the highline module so the buttons worked with a little coding in VCDS which was a bonus! Also installed a New South Performance column mounted boost gauge recently. I'm not completely sold on the look of it yet but will give it a bit more time.. Have a few issues with the needle fluttering so trying to troubleshoot that still. ..and a few performance mods. Also switched to Unitronics Stage 2 HPFP tune + their Stage 1 DSG Tune (mainly to match the ECU & DSG tunes). Very happy with the performance of the car. 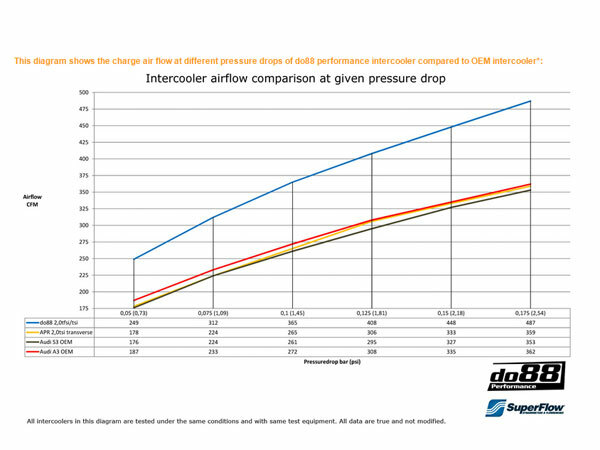 Have found the Unitronic tune to be an improvement and it isnt running anywhere near as rich as the APR tune was on my car. 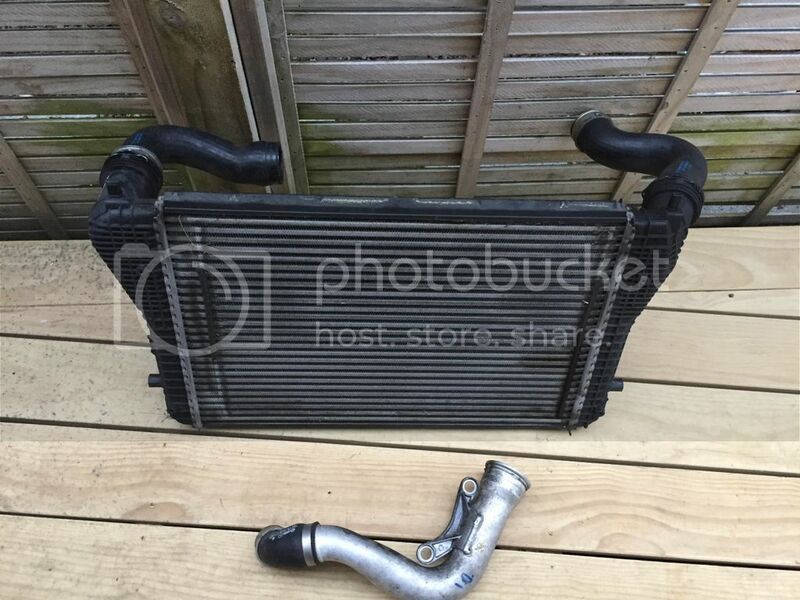 I chose this intercooler based on the pricepoint, the fact its designed to flow significantly better than the standard intercooler - therefore minimising lag and it has had a stack of good reviews on overseas forums. 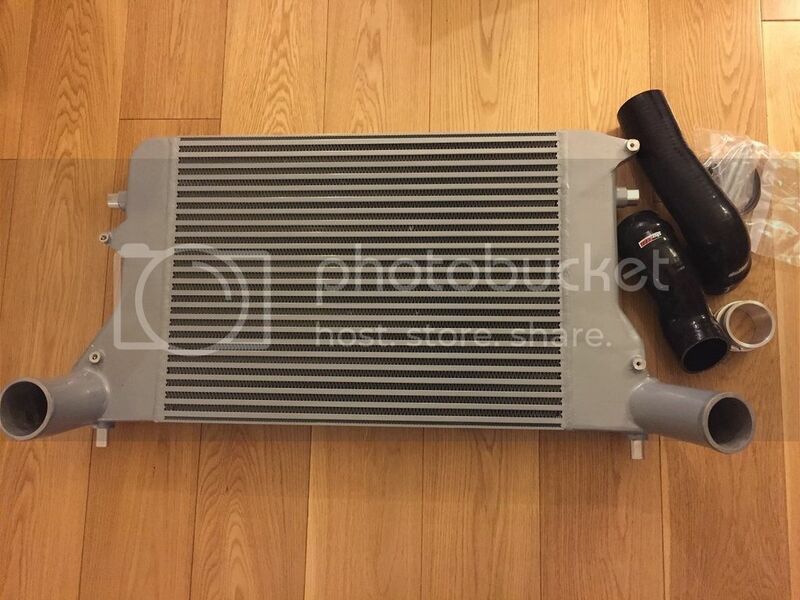 I was about to pull the trigger on the S3 intercooler but this was around the same price with hoses and flows much better. I am not suffering from the horrible heatsoak I experienced with the factory setup anymore. The car pulls hard run after run. No noticeable lag at all. 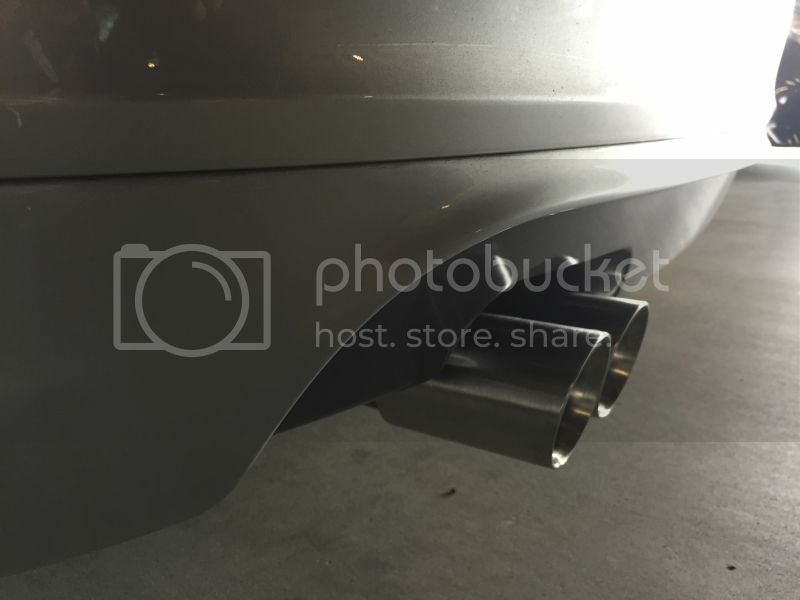 Excellent fitment, no modifications needed. Much louder turbo spool with the CTS discharge pipe and throttle response seems to be a bit better. 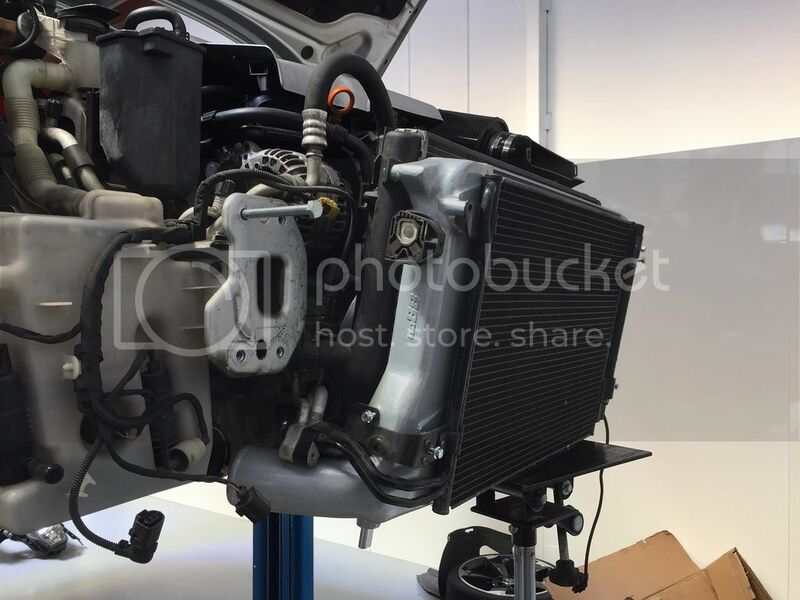 Here is the original intercooler as a comparison. 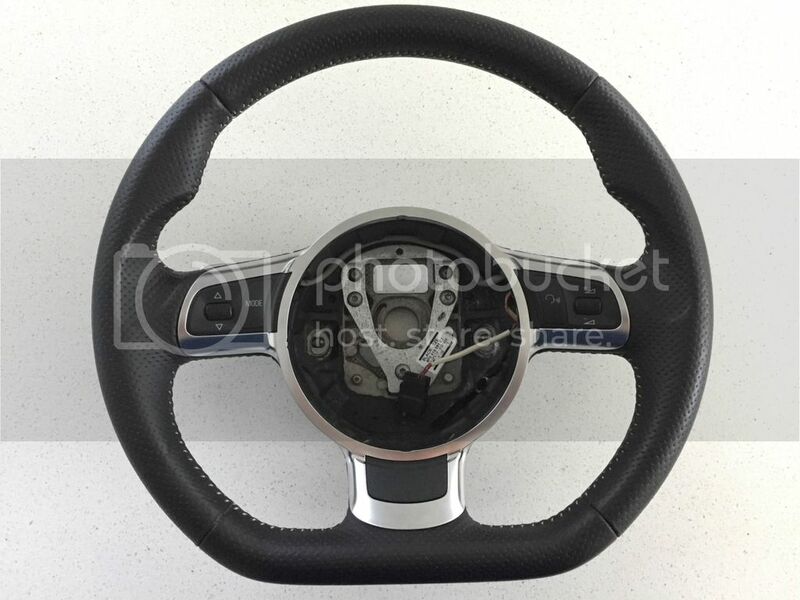 Very nice, flat bottom steering wheel looks great! I gather you didn't get any issues shipping the wheel with airbag on? Thank you. Didn't have any issue with shipping. good to see you back into it mate!! 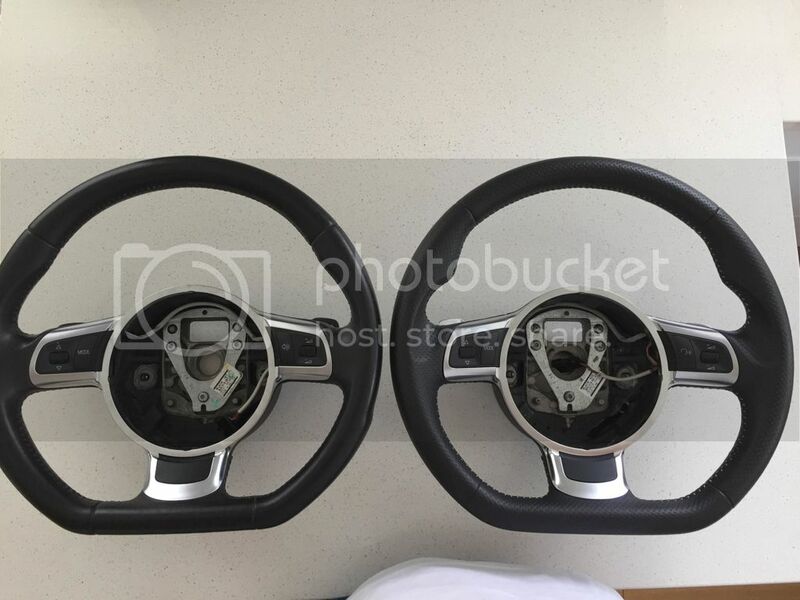 Picked up this RS3 steering wheel for a good price a few weeks ago. It was from a wreck and looked like it had been sitting in a dusty shed for the last two years. The punched leather had dirt in the holes and the silver stitching was yellowed. Started off using a light saddle soap with a toothbrush and cloth to clean it up, then a little shampoo on the stitching and finished off with a good leather conditioner. 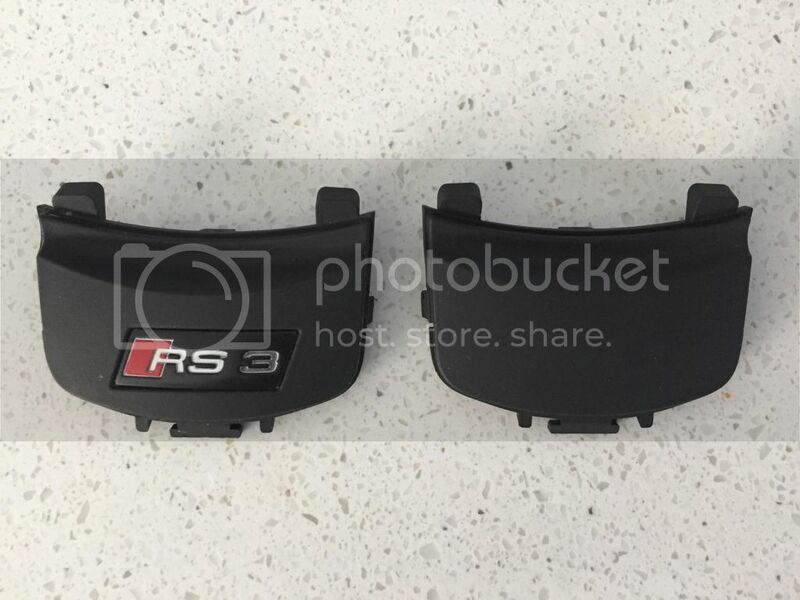 Decided to switch out the RS3 plate for a blank trim piece. The TT airbag I have is the same size with the same connections. with the airbag itself and have to use a rivet gun to fit it. Quite a few guys in the UK do the facelift airbag cover mod. - Thicker wheel with better 'hand grip' and more aggressive look. 40mm diameter compared to 35mm i think it is. 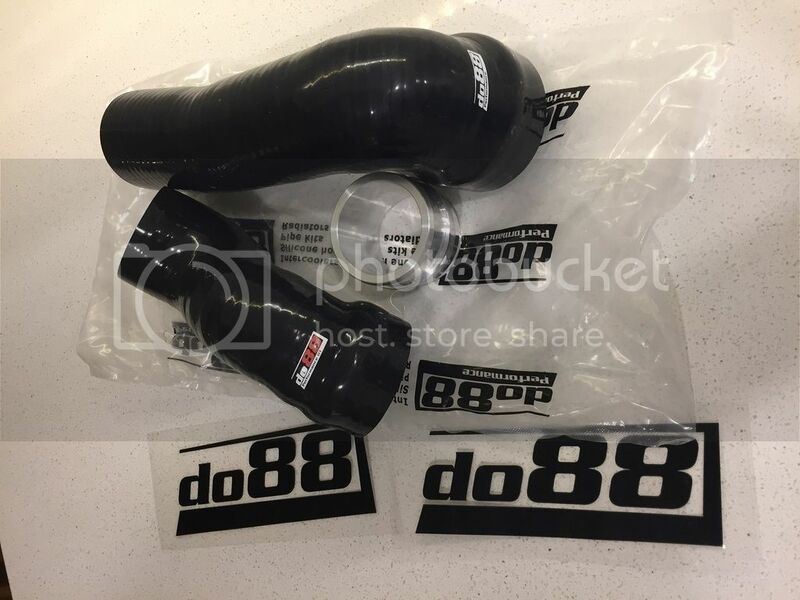 - Punched leather (goes with the RS DSG gearknob). Really enjoying the different feel it gives the car. 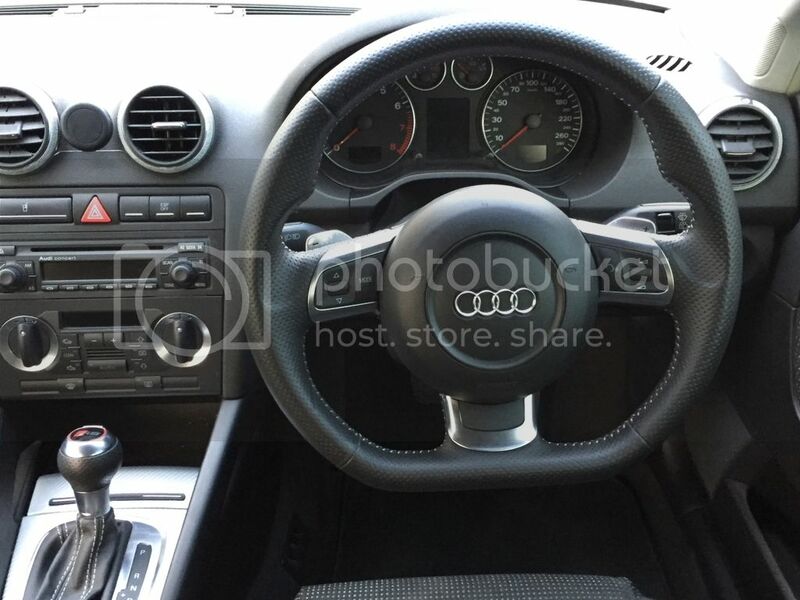 The silver stitching goes with the RS3 gearshift boot and S3 handbrake cover I have which is a nice touch. Nice! Amazing what a nicer wheel does to the feel of a car. 42 Draft Design tips (Brushed Stainless Steel, Double walled). This finishes off the exterior nicely, although I might have to get them adjusted to fit into the bumper a little better at some stage. They sit slightly low. Map/Dome light upgrade with Ambient LED lights. 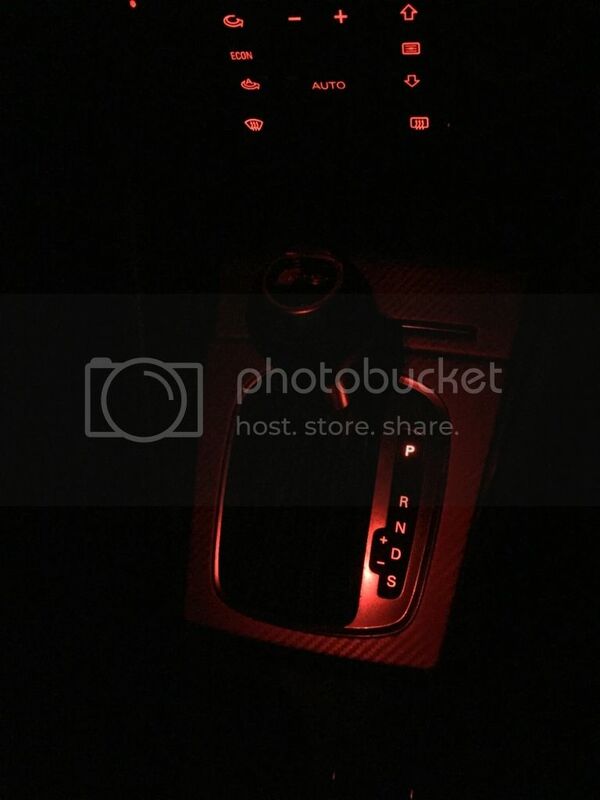 Pretty understated mod but makes a nice difference to the interior feel at night.